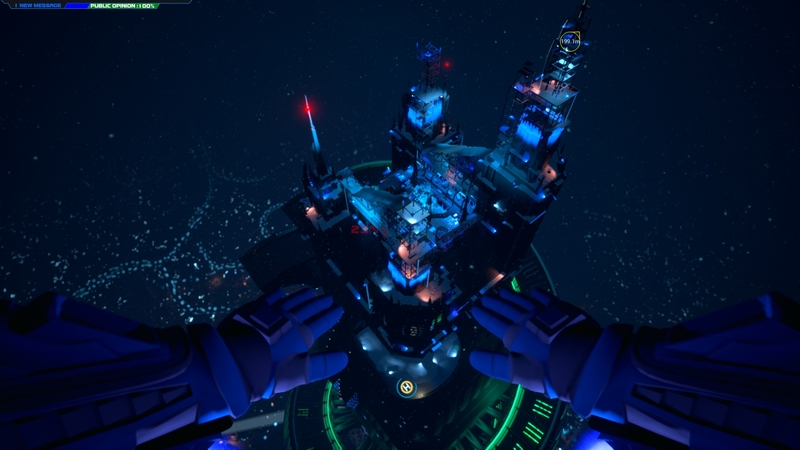 Consortium: The Tower, the sequel to immersive first-person simulation game Consortium, launched on Steam Early Access about a month ago after a successful crowdfunding campaign on FIG. In an effort to get noticed among the ocean of new releases, Interdimensional Games just released a free playable demo which includes the entire rooftop of the Churchill Tower. We’re inviting anyone out there who might be interested in a hard-core, pure single-player role-playing experience that is nonlinear and highly replayable to check out our demo. We promise you – you have never played a game like Consortium: The Tower before. Check it out and see for yourselves! Should you purchase the game after playing the demo, you’ll be able to continue your progress seamlessly. Also, if you played the first game you can even import saved universes into the demo, though it is not required. Below you can find a thoroughly detailed overview of Consortium: The Tower from the developers. Inspired by both the original CONSORTIUM and old-school sci-fi first-person shooters, Consortium: The Tower is a pure first-person sci-fi immersive simulation. We here at iDGi have invented a satellite capable of opening a rift through time and space. Travel with us through this rift to the year 2042, and take first-person control of Consortium agent Bishop Six on his first official mission. The result is a highly unique, fourth-wall shattering role-playing experience where you essentially play YOURSELF in full control of another human being. While the game presents you with a seemingly straightforward mission to rescue hostages, you have complete freedom to approach all situations as you see fit. Decisions are remembered, and can drastically change the outcome of the story. Follow the Consortium mandate and work with your team to accomplish their goals, choose to work directly against them, even fully joining the other side, or skirt the line and play both sides for as long as you can. Both sides have their own truths, and it’s your job to sort them out and decide for yourself who to believe and why. In the middle are a host of characters from all sides of the conflict, each complete with hundreds of lines of dialogue, as well as interconnected backstories and motivations. We aim for Consortium: The Tower to become the ultimate sci-fi action immersive simulation. Absolutely everything in this game has a narrative or world-building explanation behind it, including all of the game mechanics. In other words our goal from the very beginning was to ensure there are no “gamey” elements, allowing for maximum immersion.